Our vehicles are integrated with WiFi, High Frequency radios, Refrigerator and first aid kits. Our safari vehicles are large, with a Centre-aisle and feature high-backed, cushioned seats, armrests, map pockets and a fridge. 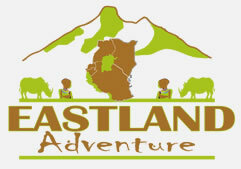 But in Eastland Adventures, we are quick to react to the occasional issue and we strive to keep the inconvenience to our passengers to a very minimum. (While our customer testimonials focus heavily on the wonderful animals and sights seen out ‘in the wild’, we also receive praise for the quality of our vehicles, too.) We recognize the importance of our fleet to your enjoyment and treat our vehicles accordingly, allowing you to relax and get the most from your trip.